Tally software and Printing go hand in hand. A truly Tally user cannot do without printing in Tally. The most beautiful thing about Tally is that what ever screen you can see in Tally irrespective of what report it is or what voucher it is you can take a print out of it. To add one more facility you can take printout after satisfying your self with print preview. The best and most easiest way to take print out is to print every thing on Laser printer. But most of the users who have a great work load use Dot matrix printer to save printing cost and to increase printing speed. To facilitate the users, Tally has three printing formats or printing modes. All the three modes can work on dot matrix mode but printer have to do extra efforts to work on Neat mode. So user of dot matrix printer work on Dot Matrix mode or in Quick/Draft Mode. The speed of printing, which matters to most of the users is fastest in Quick/Draft mode but the quality is also a little bit poor. Neat mode is good for laser / Ink jet printers which has an added feature of print preview, which helps you to let it view the size and the contents to be printed. To print any screen visible you have to press Alt + P or just click on print button on top left side of Tally menu in Tally 8.1 and in the button bar in Tally 7.2 and lower versions. Few thing has to be decided before continuing with printing. These options can be checked before giving the final printing. If you have pre printed stationery then you have to press Pre Printed Button on Right hand button bar. Check for printing configuration by pressing F12 button. This would give you the idea about size of the printing space. You can choose for printing style of invoice also in F12 configuration and check various options regarding printing. It can be Simple mode or without Simple Mode. Check the Select printer button to select the desired printer. by Default the default printer is picked up. You can change the title of the printing to be done. Press Title Button on button Bar. In Tally 8.1 you can select the language in which you want to print. e.g. If company is sending invoice in North India then, it can be printed in Hindi, Hinglish, Punjabi etc. Most of the printing problems comes with dot matrix printer. The nature of problem is mostly regarding the size of printer and the size of paper you have defined. In this case when ever you would try to print the software would exit unexpectedly with giving exceptional message. Some times the message would be insufficient height or width to allocate. To trouble shoot you have to check of what is the paper size defined in the printer. You can give your custom setting and see if the height and width of the paper matches with the height and width in the Tally printing menu. Try to strike the right combination by changing both the values one by one. Another problem comes with printer driver. If the machine you are using for tally has too many printers then their printer drivers conflict with Tally. In case of such error tally would give you problem in opening. To sort it out Delete all unnecessary printer drivers. If any more printer related problem is hunting you then send it to me in comments. I have Tally 9.0 (just upgraded). I want print my sales invoice in text mode on my DMP. I have TVS MSP 245 DMP printer with me. I want to print on 80 col stationery. HI, I'm using Tally 7.2, i want to know, is there any option in tally to Customize our Reports. for E.g. If i want to Print Bank Payment Voucher, can i print it in any other format? i Heard from someone that using TDL's we can customize our printing presentation. Please Help me. Thanks in advance. hi first name customization is very much possible in tally. you can get any report or screen customized according to your need. TDL of Tally definition language is the tool with help if which it is done. You are welcome at any time for customization according to your requirement. There is nothing different or new in tally 9 regarding printing. 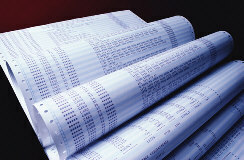 Sales invoice printing is normally done on dot matrix printer in tally. Just select the printer in print menu after pressing Alt+P. If tally is throwing you out with an error message then there is some mismatch of paper size defined in F12 configuration and actual paper size defined in printer .You have to check for paper size which is defined and the actual paper size . The paper size defined in tally should not be bigger then paper size defined in your printer. Normally after hit and try you would arrive at correct size and get the printing. Hi I'm using Tally 7.2, and can print with any printer local or network but i just installed HP 1020 Laserjet printer and shared on other pc. in this case i can print tally vouchers from local pc but cant from remote pc. Remote pc is printing anything except tally. pls help me out. i am using dot matrix printer tvs msp 240. i use manual paper for printing. i need to press online every time i print. is there any settings so that i can print without pressing online button. Can Tally 9 be used by consignment agents? A consignment agent treats the goods as purchased only when he sells the goods. And the sales invoices should have all the excise details of the products. sir when i am printing invoice in tally 7.2 the address of the company truncated every time although it is not very long, divided in each given line as u can see in company info section. i am using wipro lx800 (dmp) printer. i have changed to different printer option from fanfold to letter size but no use. remaining printing is fine. no cut in details anywhere. please help. sir, the data was rewrite through 7.2 version original data was in tally 5.4, now whenever i print my invoice the address of my company get truncated below my company name. using of F12 of no use although data converted from 4.5 version to 7.2 version giving no problem in printing . that's why i think 'old is gold' & better like to stick with it. 1. check if there are addresses in all sundry ledgers. If it is Yes then add the address of the ledger manually. If it is no then check for the second option of Print default names and address of the party . It should be set to Yes. If it is still not sorted out then check for printing options. The option Pre-Printed should be there and not the plain paper. Hope it would solve you the problem. I shall be very glad if someone could kindly send me TDL Author Serial No and Password, in response I can tell how to use a Tally single user licence in several computers at one time. I am using a genuine Tally 7.2 (on Win 98SE) till now I have been using it with success with all printers but recently I installed a 'Local' HP 1018 Laser printer and I cant print from Tally to this printer. Where as all other applications can print from this printer. i am using tally 7.2. Educational version doesn't support multi account printing. You Need the license version for this. 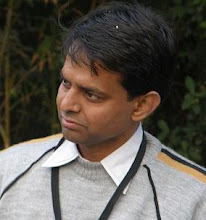 Saurabh ji You need the latest version of Tally 7.2 or a better crack if you are not using the license version. How do i delete ledger in tally ? I installed hp laserjet printer in my system and i am not able to print from my tally 9. it is also not showing in the printer list.But i can get test page and all.why its so pls tell me.I tried everything possible.pls help me. Prashanth, check if your printer is installed in windows or not. If you can see it in printer list then it would be automatically in Tally. One other way to check it is go to MS Word and try to print some document through this printer. If it is done then printer is ok otherwise check for it. while printing in Tally select the printer and it would be there in the list. I was using 4355 Officejet all in one to take prints from tally. I recently bought HP LaserJet 1020 Plus printer and installed it. Now it can print all documents and sheets proparly. But while taking print from Tally it is not incorporating proper information. It actually misses few last characters in some columns. I think it is not been able to print condensed mode which is essential to print from Tally. Please do provide solution for the same. hi. i 've a doubt about how to print a single page from bunch of printing in tally9 . if i 've to print 5th no. of page from the total of 10. how can i do that? I recently bought HP LaserJet 1020 Plus printer and installed it. Now it can print all documents and sheets properly. But while taking print from Tally it is not incorporating proper information. It actually misses few last characters in some columns. I think it is not been able to print condensed mode which is essential to print from Tally. Please do provide solution for the same. hi i facing problem when i pring any debite not credit note i found 2 charecter cut on particular date format Exp : 24 apr 20 .
i have using new hp 1020 plus printer. I have Tally 9 Release 1.0. I am facing proble in Printing. My Tally's Gateway of Tally does not display Multi Account Printing and I am unable to get print of all of my account and inventory ledgers for record. kindly guide me how to activate "MULTI ACCOUNT PRINTING" in Gateway of Tally. We are using Tally6.3 Multiuser Genuine version. We have 1 HP network printer for all ledger/voucher printing and 1 HP printer locally attached for cheque printing. We are using tally for last good 8-10 years with no major bugs in it. Atleast we can live with those bugs. But one thing which is always hunting us is: every morning we need to select the printer in Tally which we wish to use for printing in every client. If we do not select any printer, it always displays ne000. The printer in the printers list has already been selected as "Default" printer thru windows control panel. But still everytime is showing ne000. If you could help me as how to set any printer as default printer for Tally, that would be a great help for us. i suggest you to upgrade to tally 9 and get the latest of best out of Tally. As you are an old user i am surprised to know how come you do without latest tally. If not possible to upgrade then get the last release of tally 6.3 and check if this problem still persists. We are using Tally 7.2 on windows 2003 server SP2. It's printing properly on the LAN. however when printing the reports through Terminal server Session the printout has missing information ( complete colomns are not printed ). we are using HP and Samsung printer with USB Port. I have searched the microsoft for any problem in terminal server but nothing related could be found. I want to add appx. 150 characters of terms and conditions. How can this be done.Can it be more characters like 200 or 250. Or can I define a smaller font let us say 7 or 8 points for this text. How to define fonts? I want also to write an acceptance of the client below for co. name & signatures. can it be done, if yes. HOW! I am not able to print from Tally 7.2. I use a laser printer and have given the page size as A4. The printer is working fine for other programs. Neither am I able to take a PDF print. This is the first time it has happened. Kindly suggest a way. It did show an exit error once. I restarted but then the computer hanged everytime I gave a print. WHEN I PRINT IN TALLY 7.2 EIS 1.2 IT SAVES A .MDI (IMAGE FORMAT) OF THE PAGE AND THEN I'VE TO LATER PRINT IT OUT FROM MY DOCUMENTS. I'M USING A COMPAQ IJ 600 INKJET PRINTER. HOW DO I PRINT DIRECTLY? I am using Tally 7.2 and takes print out using a network printer. The printer used is "hp officejet 4255 all-in-one". My problem is till yesterday I was able to take print out of tally reports using above printer. But today I am not able to take the prints. I checked the network setting. There is no problem there as I can take print outs of "Micosoft word, excel, paint etc. how to get my voucher in just one page.. I'M USING TALLY ERP9..BUT IN THIS HAS MORE PROBLEM..WHEN I PRINT COMMAND TO ANY LEDGER & VOUCH. ETC.THEN HE NOT SAW US PRINT PREVIEW BEFORE PRINT OUT.......SO SIR PLZ. HELP ME......I'M IN TROUBLE.! THANKS IN ADVANCE...& SEND ME CONFIGURATION OF CHQ.PRINTING. Naveen, Please check out the print mode. It should be neat mode only. then only it would show you the print preview. Another thing is check if the printer is installed on computer. Then only print preview is shown. Last thing to check is that print preview button on the right hand pane is selected. when it is selected the button would show no preview. Hope it would solve your queries. I have using Tally 9.2.1 version. The above 2inch of stationery is preprinted so I have tried a lot for reduce the size from top to 2 inch. I have called to Tally solution centre also but the information was not sufficent. I have set a new form of Paper size bu it was also unsucessful. There was an error showing when i put 2inch leave from top. So please any one have solution please reply me. Hi I am using Tally Erp9. In one of my system tally Erp9 is not taking the default printer for printing any of the document. I am selecting manually. Please privide the solution. I'm using Tally ERP 9 latest relies, and I have 3-4 shared printers also. While secting the printer Tally was quiting automatically, so I was unable to print. I have tried a lot with the tally agents to sort out this issue, but no use at all. Now I have installed a print server, so everithing is ok now. Ithink this is the only solution for this problem. I am using Tally 7.2 and printer HP Laserjet 1020 , not able to print normal size printing . Whenever i tries to print it shows " page not fit for printing and exiting from tally.. Previous we use to take print out as landscape only. i am using tally 7.2 and wipro lx-800 dot matrix printer. it is print per page 66 lines. i want to change 72 lines. I am using tally 7.2 when giving printing option it is asking for save the document & then print preview is coming then again i have to give Ctrl + P then printing is coming out, how can i get direct print?? I have installed same Tally 7.2 with latest update from tally. all printing fine by last 2 days it not print voucher properly i have installed tally on windows XP and used HP 1020 printer over network. when we print voucher date printed like "18-Nov-2" it should be "18-Nov-2010" as i saw it on print view. i m using tally 9.with dot matrics printer. can u tell me how to change font in sales invoice. while printing the day book, i am not getting the total amount of debit and credit at the end. i m using tally 6.3 with hp 1010 i had buyed new printer hp1020+. my old printer automatically shrinks the larger amount quantity and every thing in the alocated space but the new one cant do so. it cannot shrinks n prints without cut n results in partial printing. i am using tally 7.2 and previously when i use to print a ledger statement in pdf format was used to get saved automatically but now when i print no ledger is printed....how do i get that feature back? hello sir !!! in my pc when i give the print command the document opens in microsoft one note instead of getting directly printed so please help me !!!! Hi - I'm having a strange problem with Tally. When printing in detailed format on my ledger accounts, the Date and Particulars field are printed as a full rectangle black box. 10-10-2011 will be printed as a black box. My guess is that the date field has a 'number of characters' limitation on printing. Same happens for Particulars - if the description or name is within 20 or so characters, it prints fine, otherwise a giant black box. I am using Tally7.2 and I am facing a problem that whenever I completes a Payment Voucher entry just before saving that entry it shows a print option, but I don't want this option. Go to Account Info -> voucher Types -> Alter Select Payment voucher. There you would find one option at teh bottom saying print after saving. It is yes. Put it to no. After pressing Alt+P for printing just press F12 and increase the top margin. Check out the extra printer drivers, delete them all and only keep those which you are using. If this dosn't solve then remove the printer driver and install it again. Check where is your config file while you installed tally. It should be where it is supposed to be. reinstall Tally and then check where Tally configuration save file is ? your default printer is one note. Change it. Upgrade your Tally version. This problem would be removed. otherwise change your printer or update your printer driver. Click plain paper button on the right hand bottom side.